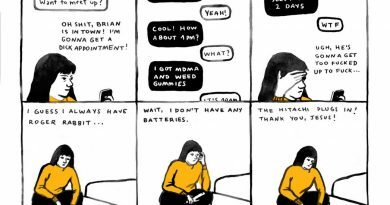 Quick Picks is an occasionally written series of mini comics reviews of books I’ve read over the past two weeks. Here’s a selection of zines I’ve been reading recently. 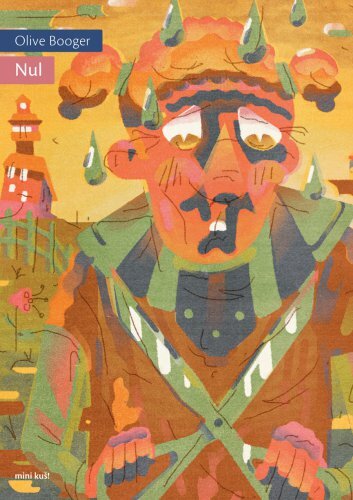 Nul is one of a recent batch of mini kuš! and a striking story of obsession and radicalization. An unnamed main character documents his obsession with a girl named Jozy-Ann in his diary. We see her keep him at arms-length until she immigrates to an island nation Varmaciga. He follows after her, and becomes part of a reeducation and radicalization camp. Booger’s art mirrors the grotesqueness of the story. Color selection is fitting, with washed out pinks, foul yellows, and light blues. Nul reminds me of the way Austin English’s comics meld and morph. It’s clear that the character is the same, but the colors and features change from panel to panel. It’s hard to write about Nul, because it’s a hard comic to parse. It is easy to compare the Varmaciga Club to fascist Islamist terror groups. That comparison doesn’t hold up well to scrutiny, and the plot doesn’t hold up under its own weight. It might be best to think of Nul as a fable about the dangers of obsession. From this perspective, the book is a partial success. The art is a mix of the fascinating, humorous, and putrid, but the narrative is underwhelming. iPhone 64: A User’s Guide is my first introduction to Brian Blomerth’s work. 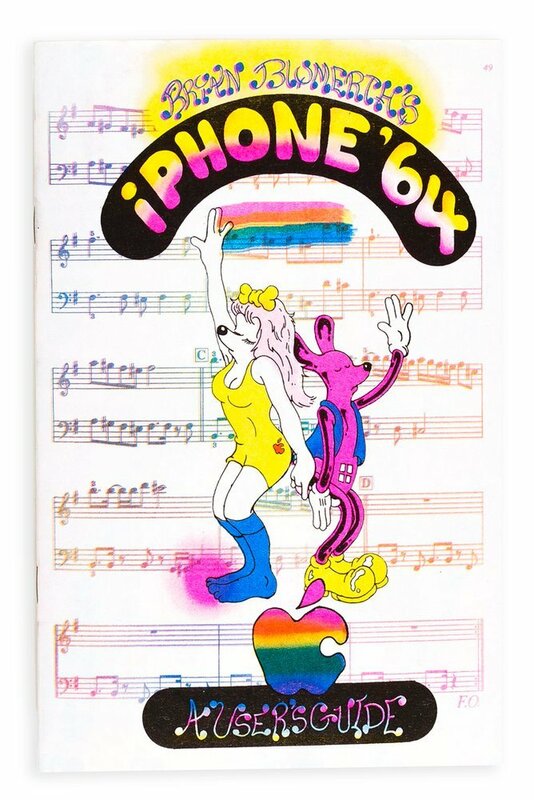 Published by Tan & Loose Press, it’s a 24 page 4-color riso zine styled as an ad for the newest iPhone. iPhone 64: A User’s Guide is a kalidascope of color transposed on a pop culture background. Blomerth’s funny animals are effervescent and deeply strange, each branded with some computer icon. They dance around a cult of culture and personality. In an early striking scene, a fluorescent mouse/dog instructs us, “To activate your new iPhone 64… Smash it with a hammer! And then… snort it!” as a buxom dog snorts iPhone powder off a mirror. The colors are bright and wild. The images unlike anything I’ve seen recently from the alt comics scene. iPhone 64: A User’s Guide is billed as “a panic attack masquerading as an Apple ad,” and that holds true. In some ways this zine feels like a callback to an older era of underground comics. Blomerth the is taking a historic feature of comics and subverting it to his own needs. iPhone 64: A User’s Guide captures the foggy despair of the current age, the miasma of need, and the consumerist tendencies of the current age. This is a fascinating comic, and a must read. Curled Up Around A Wound is another introductory comic for me. 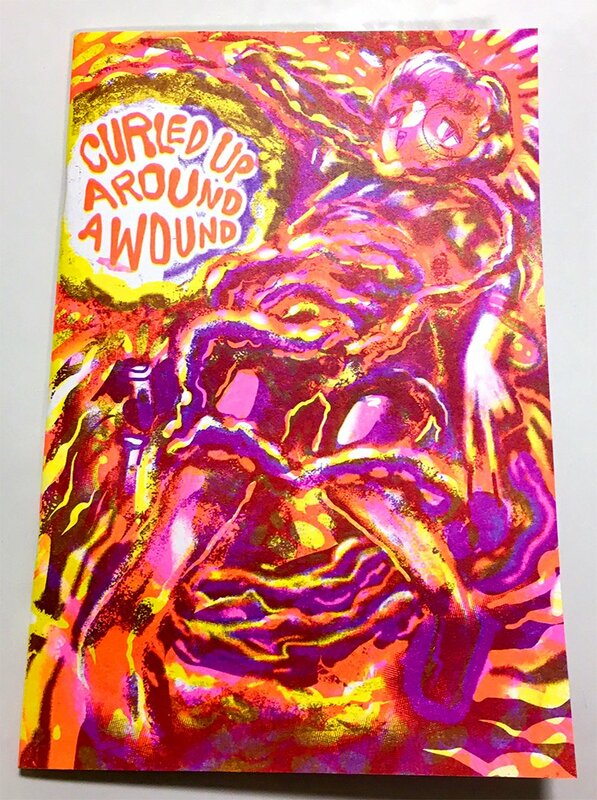 Published by Bred Press, this is another riso comic, printed in fluorescent pink, yellow, purple, and orange. Pence’s main character, Fifi, battles with a strange gastrointestinal illness. She has to get MRIs, CT scans, and colonoscopies. I’m not 100% sure if the comic is biographical, but Curled Up Around A Wound is too specific to be complete fiction. Pence’s illustration is manga influenced, but the color is woozy and intense. Pence’s work hits some of the same themes as HTMLflowers. The medical establishment’s lack of concern about patient requests is a common element. Using piercing, tattooing, and other body modification as a way to exert authority over your own body is another. But Curled Up Around A Wound is also about the fear of not understanding what is wrong when you are sick. I found the book claustrophobic; Curled Up Around A Wound makes your world close in around you. Pence is a cartoonist to watch. If you like the writing you see on Sequential State, please support the site on Patreon. Your help keeps the site advertisement free and allows me to keep adding new content and features. Thanks!